Lenat was founded in 1985 by Allen Pope who had spent the previous 15 years managing procurement and shipping services to his company branches throughout Nigeria. Thus appreciates the importance of efficient and on-hand dealings as imperative in order to achieve success in this market. The operation consisted of office/warehouse in London/Gatwick supported by our overseas branch in Lagos. Lenat pioneered “The Door-2-Door Service” concept exclusively to Nigeria. “The Door-2-Door Service” provides a guaranteed price of all charges, thus relieving the stress/costing/unforeseen charges away from the suppliers/importers. 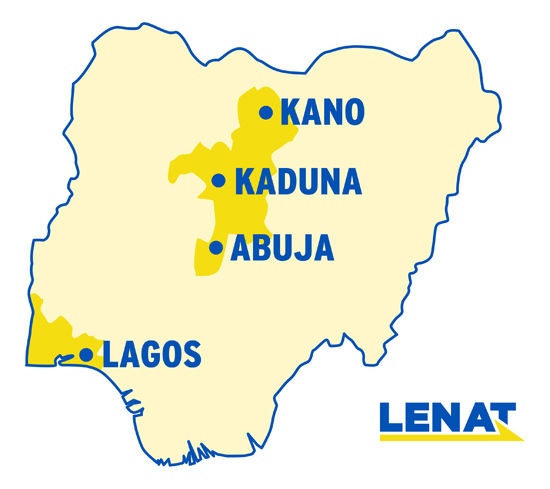 Lenat acquired additional office/warehouse facilities in Abuja, Kaduna and Kano to control the movement of cargo and provide a faster secure service to customers. Lenat Intl UK Ltd is a Regulated Agent appointed by The Department of Transport for unparalleled security & protection of goods, which is supported by our highly qualified personnel.